I’ve been a big fan of nuclear energy ever since I worked at a power plant. Before that I was terrified and didn’t think it was a good idea, but I learned quite a bit about how it works and while there are issues, I think it’s a good source to consider. If we redesign the reactors. Right now we use old designs, old technology, and we could make them more efficient and much more safe. I ran across this piece on Small Nuclear reactors. These are in the 200-300MW range, as opposed to the 1,000-2,000MW reactors that we use today. Those large ones cost $10b, as opposed to a $1-2b investment, a much more manageable cost for many power companies. I could see smaller companies putting these up, with much lower operating costs and potentially giving us true energy independence. I have a fascination with wind power. I’ve wanted to get a vertical axis wind turbine (VAWT), but few companies make them, and there are mixed views on whether or not these are efficient. I caught a piece on a field of VAWT. These are much less noisy, and potentially the wakes from them don’t interfere with the other turbines, resulting in more density. I hope these work, and become affordable enough for me to get one. 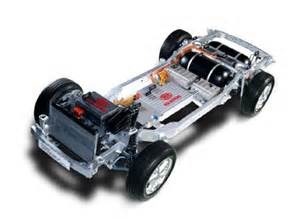 Barring the VAWT, the HAWTs now can come with batteries, to keep power flowing more consistently. This isn’t really for residential users, but for large commercial users, giving power vendors the chance to ramp up more expensive (and dirty) alternatives if the load is growing. Also, some auto news. Finally I see something on fuel cell vehicles. I had high hopes for these years ago, with thin platforms. This is similar to what the Tesla has, and the idea would be that you could actually purchase multiple bodies (sports car, truck, sedan) and change them out on demand. With hybrids and fuel becoming cheaper (after two wars), this idea dropped off the radar. Perhaps it’s back. I know the hydrogen infrastructure is an issue, but the same thing holds true for natural gas vehicles, and I have friends buying those now. There are only a few stations in Denver, but they make them work, especially for commuting. I like the Tesla, and I loved the 90s battery change. The economics don’t make sense, but the idea is great. I would love to see this for fuel cells as well. Rather than fueling to start, what about changing out jerry-can sized “fuel” cells at a station. The station and refill them as needed, and drivers wouldn’t spend too much time filling their cars.